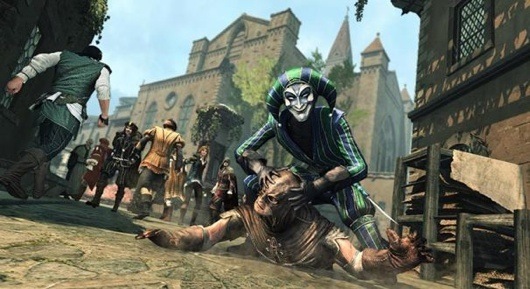 Ubisoft Entertainment has released another update in form Assassin’s Creed Brotherhood v1.02 patch. This patch update offers several important bug fixes to the single player & multiplayer. If you are playing Assassins Creed Brotherhood online, installing this update is recommended as it changes the communication port. – Fixes an issue that prevents user settings and game progress from being saved if the user’s Windows login name contains unicode characters. – Fixes an issue where users could not add friends whose name contains dot characters. – Changed network communication port from 1000 to 7917 in order to fix connection issues caused some ISPs’ restrictions. The patch is now available – Run Ubisoft Game Launcher, it will inform you and download and install ABC Patch 1.02 for you – you do not need to download it manually – please be aware that different regions may have different versions of the patch, so please let the launcher auto patch the game, rather than manually installing.